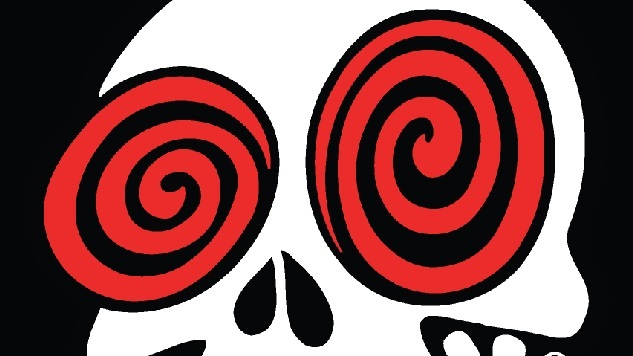 Update, March 9: The Laughing Skull Comedy Festival has released a statement addressing the controversy over this year’s lineup and the steps they plan on taking to fix things. We are grateful for all the feedback we have recently received regarding our upcoming 10th Annual Laughing Skull Comedy Festival. It has been brought to our attention that the festival lacks diversity, specifically due to the fact that no black women have been included in this year’s 60 finalists. This, of course, does not sit well with us. After taking part in several very meaningful conversations, and carefully listening to the concerns that have been raised, we realize that we have a significant blind spot when it comes to addressing inclusivity, and we fully understand that this is an issue that needs our immediate attention. Hearing the concerns of the tight-knit comedy community that we love and respect, we now understand that our previous efforts for inclusion have not been sufficient. This situation has been uncomfortable and embarrassing for our team, but we will use this experience as the catalyst for instituting positive change. Anyone reading these words should understand that we wish to keep the lines of communication open. We are here to listen and learn. We look forward to growing from this lesson and hope to create a more inclusive environment for the entire comedy community. We continue to believe the Laughing Skull Comedy Festival offers amazing opportunities for up-and-coming comedians to get exposure to industry, audiences and peers. We are committed to ensuring that all people feel both welcome and included in the opportunity to participate. We are inviting the top four black women who scored highest based on the scores of our judges: one for each of the industry showcases. Some additional plans for change include implementing an outreach program, continuing to diversify our administrative positions, and having dedicated panels during our festival to share resources and knowledge, and address issues related to inclusivity. These are just a few of the initial changes we will be implementing, but we are sure there is more we can do. We want our community to be part of this vital conversation. We want to hear from you to help us direct this change. We would like to set up a virtual Town Hall Session so that anyone interested can be part of the conversation and be heard. If you are interested in participating, please send an email to whatup@laughingskulllounge.com with the subject line “Town Hall Participation.” Everyone who emails us will be contacted with the date in March, the time and instructions on how to join this online conversation. Thank you again for your feedback and we look forward to this being an ongoing conversation. We hope you will join us for our upcoming discussion. When people began commenting on Laughing Skull’s Instagram asking about the lineup, the club responded by saying less than 10 Black women submitted. The addition of “Cheers!” at the end of the message led commenters to feel they were being blown off. When reached for comment late Thursday night a Laughing Skull representative told Paste they would be releasing a statement at some point on Friday. As of press time it hasn’t been released. 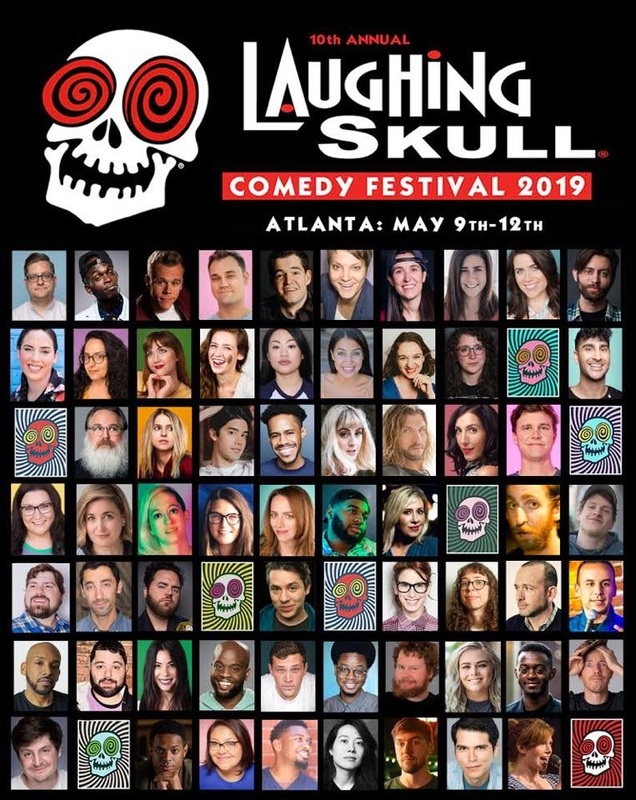 The idea of any comedy festival in 2019 not featuring any Black women identified performers is absurd, but in Atlanta of all places, it seems particularly strange. The city is largely African American, 54% as of the 2010 census, with a long and rich history of Black art. However, the comedy scene in Atlanta remains passively segregated between “Urban” and largely white rooms. Atlanta’s Uptown Comedy Club is widely considered to be one of the best “Urban”—white shorthand for Black—clubs in America. Rising stars like Karlous Miller and DC Young Fly got their start in Atlanta’s Urban scene. A new crop of upcoming talent is developing in venues like the Atlanta Comedy Theater. There are also exists a largely white comedy scene, which encompasses the city’s alt scene and clubs like Laughing Skull and Punchline. People of color regularly flourish in these spaces. Atlanta vets like Dulce Sloan, Mia Jackson and Rob Haze graduated to TV spots after leaving the city. Sloan herself was the second place winner of the 2015 Laughing Skull Festival. But that doesn’t change the often overwhelming whiteness of the scene. As a former Atlanta comic myself, I know first hand the complicated racial issues that surround comedy within the city. Sometimes I caused them, and when I did I was rightfully called out by my peers. It’s important to not discount the work of the numerous Atlanta comedians of color who perform and promote outside of the city’s alt scene. Rooms like The 1AM Secret Show, now run by David Perdue and Anthony Driver, book some of the most diverse lineups in the South. There are also comics across all racial lines who work in both spaces. As I said, it’s complicated. Another issue at play is the importance of what “fairness” means. Laughing Skull says they booked the festival based on a simple metric: delivery, material, originality, professionalism, and overall impression. That sounds fair enough on paper. But when no Black women make it through 1,000 applicants, the question then becomes, who was watching as much as how many submitted? Laughing Skull doesn’t list who is on its judging panel, but the makeup of that panel is radically important to the scoring of those categories. A panel made up of five white men, or hell, five men period, will have a different perspective on comedy. If the panel has one woman and four men, it would be easy for those four men’s opinions override the woman’s. When we talk about diversity in comedy the focus is usually on lineups, like the conversation we’re having right now. But diversity in booking goes beyond who’s on stage. The people booking a festival need to be as diverse as the audience they hope to draw in. If your judges are all white men, and we don’t know if that’s the case with Laughing Skull, that’s going to impact how comics are scored. People in the industry like to say “funny is funny,” but that’s absurd. Anyone who’s ever told a dark joke on stage to soul-crushing silence knows that’s true. Different audiences respond to different things, and if you want to build an audience that’s diverse you need to make sure your gatekeepers have eclectic tastes. The best way to do to that is by making sure your judging panel doesn’t all the look the same. When ranking is based on blind scoring that becomes even more important. The numbers may be blind, but if the judges are five white guys, those blind numbers learned to laugh in similar places. A problem can exist without being malicious; in fact, passive problems often take the longest to solve. Laughing Skull Festival is wildly successful, selling out shows in almost every comedy venue in the city during the week it runs. It’s a beacon for the comedy industry, from late night to Just For Laughs. When you’re on top there’s seldom reason to reflect. Laughing Skull has stated that “fewer than 10 Black women” out of 1000 comedians submitted. That statistic is staggering. More Black women have asked to do my bar show in Los Angeles in the last three months than one of the most nationally recognized comedy festivals in the country. Laughing Skull has a reputation for showcasing the best and brightest in the industry, but one of comedy’s most vital, flourishing communities is absent from this year’s festival. Booking a comedy show or festival goes beyond “this is the best of who submitted,” especially for a club like the Skull. It’s a reflection of the humor an institution sees the value of. It’s easy to say “they should submit if they want to be considered” but it’s much harder to ask why they didn’t submit at all. These may be painful questions, but they’re important ones, especially for institutions the industry respects. Note: The author of this piece is currently booked to perform at the Laughing Skull Lounge later on in the month of March.